Ken Desrochers|! !| vice president of operations at EPE|! 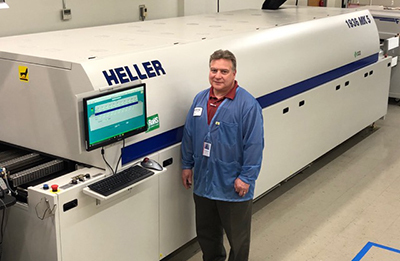 !| stands in front of the new Heller Mark 5 1936 10-zone reflow oven. The application deadline for the NH High Tech Council's Product of the Year award is Monday, Sept. 3. 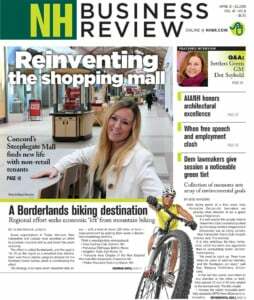 The annual event, which is held on Wednesday, Oct. 10, honors outstanding products by New Hampshire’s high tech companies. All companies, small and large, are encouraged to submit applications. Winning products will be inducted into the Council’s Hall of Fame and will be featured in the lobby of the Manchester-Boston Regional Airport. For information on how to apply, click here. CanPay, a debit payment solution for the cannabis industry, has spent the last several months rapidly expanding its presence in new U.S. medical marijuana markets, launching its services to 115 cannabis retailers in New York, Pennsylvania, New Hampshire, Massachusetts, Maine, Maryland and Florida, with the goal of extending CanPay's services within these markets and to Rhode Island, New Jersey and Vermont before the end of 2018.